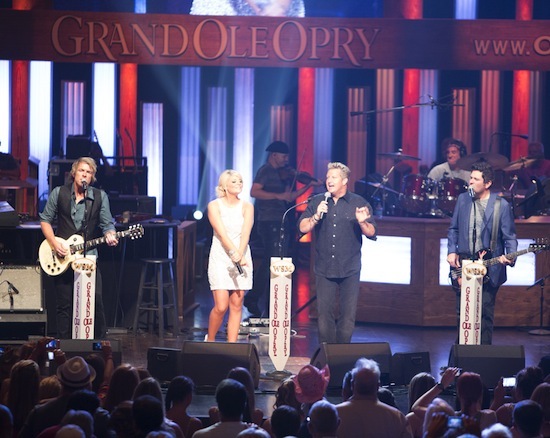 On Wednesday (7/25), Grand Ole Opry member group Rascal Flatts performed for a sold-out crowd at the Opry. The 30-minute set included a collaboration with American Idol alum Lauren Alaina on the group’s hit version of “Life Is A Highway.” The group is scheduled to return to the Opry on Tues., Aug. 21. Also, due to fan response, a second show has been added to the Opry schedule for Sat., Aug. 4. The line-up for that evening includes Carrie Underwood, Jimmy Dickens, and more. 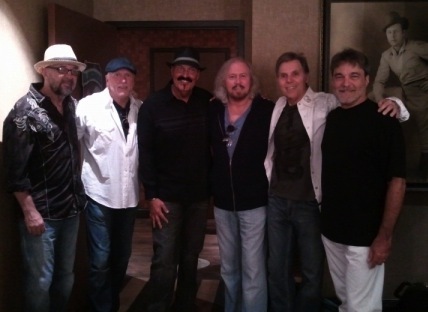 Following their performance at the Grand Ole Opry on Wednesday (7/25), Exile spent some time with Bee Gee’s frontman, Barry Gibb. Exile recently released People Get Ready, their first studio album project in 15 years. Visit www.opry.com for updated schedules.